I love the WSJ’s Weekend Confidential section. 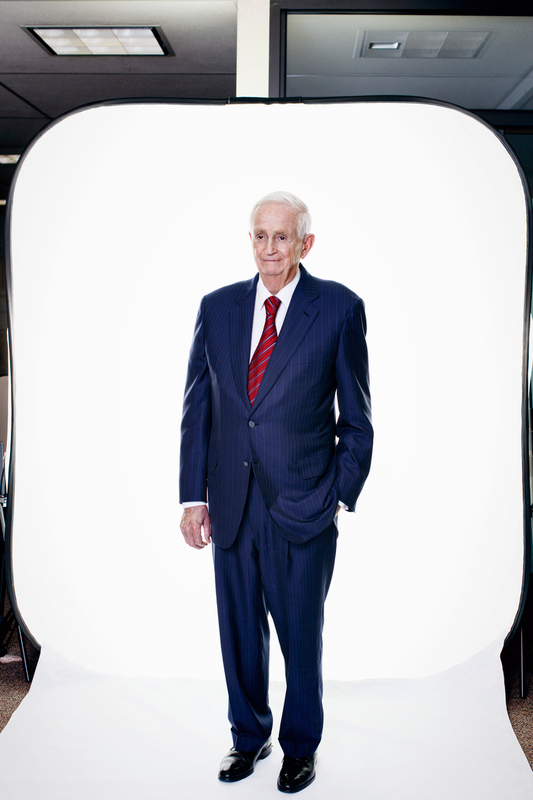 I’ve met and photographed so many interesting people for it, including now hotel magnate Bill Marriott Jr. It was a simple shoot in a no-frills office space. If I have the luxury of time and light, I like to get a few different setups. In this case, a few shots by a window and a few with my pop-up seamless fit the bill (no pun intended) nicely. Posted on 10/01/2014 12/13/2016 by Melissa Golden. 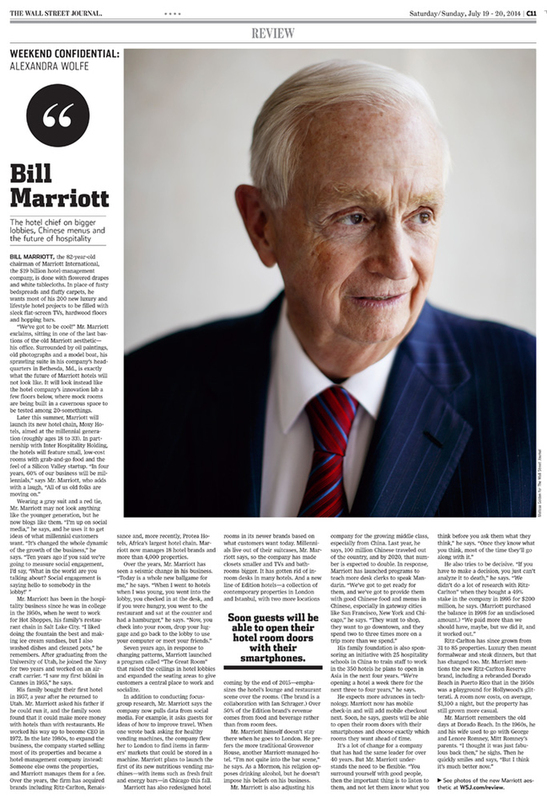 This entry was posted in Portrait, Wall Street Journal and tagged Bill Marriott Jr., Maryland, On Assignment, Portrait, WSJ. Bookmark the permalink.